Each and every week, I, “Not at SDCC!” Henchman 21 and “Ditto!” Empress Eve read a lot of comics. Seriously you guys, a lot of comics. Maybe too many comics. I mean, it is possible… theoretically. Naturally, we look forward to some more than others. I mean, who doesn’t? 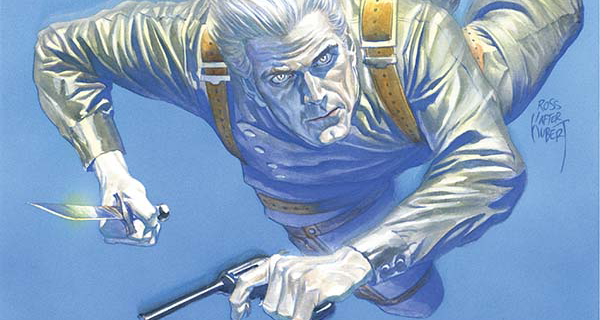 So, let’s take a look into the depths of our pull lists, grab some comics, and we’ll let YOU know what the top books to look forward to are for the week of July 8, 2015. Single issues and trades, they’re all here. Yes, it’s that time of year again, time for the biggest comics convention in America, even if the show has moved beyond being just about comics. But it’s okay, all comic conventions have moved past comics to one degree or another. Sorry, got off track there. It’s San Diego week, which means there are a lot of new series and big hardcovers out this week to entice buyers at the show and even those of us not at the show. In fact, it’s better for those of us not going to SDCC, because we don’t have to wait in line and then figure out how to lug all this stuff back in our luggage. So rejoice at the ease with which you can buy your comics, for it is truly a good week to celebrate comics. 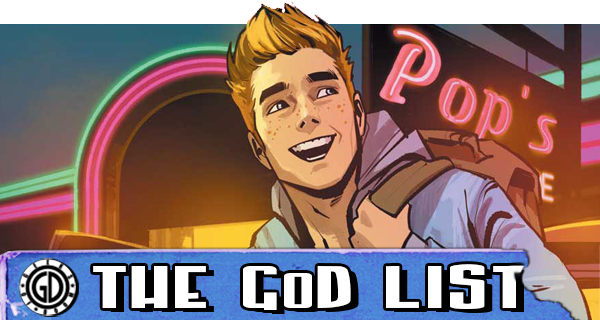 And celebrate we shall on this week’s The GoD List! Each and every week, I, “Foggy Nelson!” Henchman 21 and “Daredevil!” Empress Eve read a lot of comics. Seriously you guys, a lot of comics. Maybe too many comics. I mean, it is possible… theoretically. Naturally, we look forward to some more than others. I mean, who doesn’t? 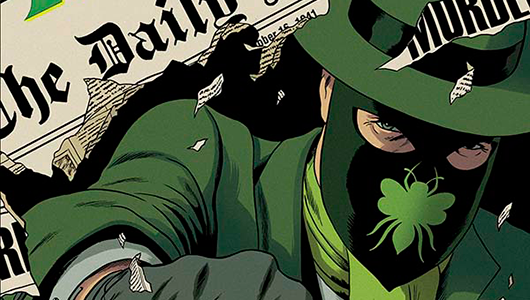 So, let’s take a look into the depths of our pull lists, grab some comics, and we’ll let YOU know what the top books to look forward to are for the week of April 22, 2015. Single issues and trades, they’re all here. I’m all caught up in the love of comics and the thrill of playoff hockey, so let’s get into the books from last week and something from last week and get into sudden death overtime The GoD List! When it was announced that Marvel would be taking over the publication of the Star Wars comic books, you had to assume they were going to put some of their top talents on the book. 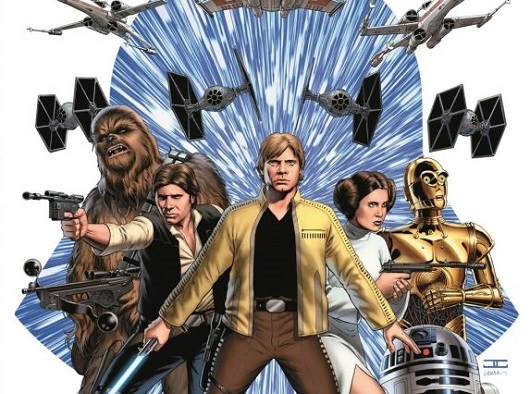 And if you didn’t assume that, you assumed wrong, because Marvel has announced their plans for the first set of Star Wars books, and it includes some of their top writers and artists. Starting in January 2015, Marvel will launch three new comic books, all taking place just after the end of Star Wars: A New Hope. The line of comics starts in January with Star Wars by writer Jason Aaron (Thor, Original Sin) with art by John Cassaday (Uncanny Avengers). This series will follow all of the main characters in an all-new series of adventures set just after the Battle of Yavin. Check out the covers for the first three issues below and let us know if you’re excited for this new era of Star Wars comics. Anyone who reads comic books is familiar with the name Mark Waid, not only as a writer of one of the best series on the market, Daredevil, but also as a writer of many celebrated series such as Kingdom Come, The Flash, Fantastic Four, and many, many more. He is also an innovator in the world of comics, having worked as Editor-in-Chief of BOOM! Studios for a time before starting his own digital comics platform, Thrillbent. 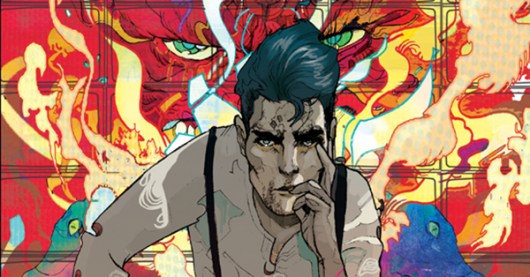 Thrillbent recently made a change to their business model allowing readers to subscribe to every book Thrillbent releases for $3.99 a month, or readers can continue to buy issues individually. 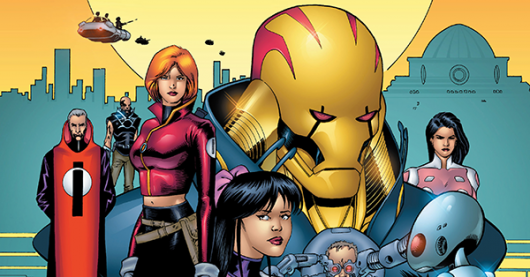 To celebrate this change, Thrillbent is offering new readers a free copy of Waid and penciller Barry Kitson’s series Empire, originally released in 2000. Empire tells the story of Golgoth, a classic megalomaniacal super-villain who has conquered the world before the first issue even starts. The series is an examination of the character and the world he has created for himself. Thrillbent will also be home to the all-new second volume of Empire, which reunites Waid and Kitson to tell the continuing story of Golgoth and where he goes after the events of volume one. Chapter two of the new series is available now, and the series is just as intriguing and thought-provoking as it was the first time. You can also read the first chapter of Empire Vol. 2 for free right now. I was able to talk to Waid about not just Empire, but also the future of Thrillbent, as well as what goes into writing Daredevil. You can see what he had to say and also some preview images below. Doctor Spektor #1 is a whole lotta crazy. I mean a WHOLE LOT of crazy. Now, was it crazy good or crazy bad? Let’s take a look. Going into this, I have to admit, I’ve never read a Doctor Spektor comic before in my life. But, I heard Mark Waid was writing it, so I wanted to at least check it out. Lemme tell you, I’m really glad I did. You don’t have to know anything about the character to enjoy this comic. In fact, I think if you followed the character before, that might hurt your enjoyment of this book. Waid gives us a Doctor Spektor that’s basically a reality TV star, but unlike the reality shows on TV now, this one’s actually a REAL reality show. If that makes sense. On camera, he’s a strong, fearless master of the occult, but behind closed doors, he’s a hot mess. 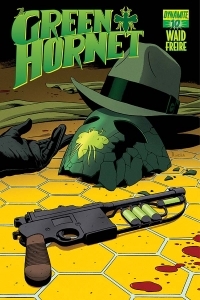 I won’t go into any spoilers, but this is a REALLY interesting character, and if you removed all the monster fighting, I would still read this book, as Waid makes him an incredibly interesting and compelling character.